Bowel Cancer – Do you know the signs? April is Bowel cancer awareness month, and with bowel cancer being the UK’s second biggest cancer killer would you know the signs to look out for? It is treatable and curable especially if diagnosed early and most people diagnosed with it are over the age of 60. A change in bowel habit to going less often, with harder stools, is not usually caused by any serious condition – it may be worth trying laxatives before seeing your GP. 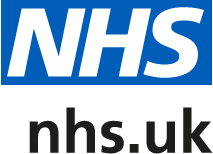 Why not try the bowel cancer symptom checker for advice on what you can try to see if your symptoms get better, and when you should see your GP to discuss whether tests are necessary.